Partner, Young, Moore & Henderson, P.A. If that’s the case, Brian is shelling out top dollar for his spot. A highly regarded defense attorney and partner in the Raleigh law firm of Young, Moore & Henderson, Brian specializes in transportation liability, insurance litigation and medical negligence cases. He has been recognized by North Carolina Super Lawyers every year since 2010 and by the National Academy of Distinguished Neutrals for Excellence in Alternative Dispute Resolution. He holds a Martindale-Hubbell AV ranking, the highest level of professional excellence from a lawyer’s peers. Recently, he was sworn in to argue before the U.S. Supreme Court. Despite his busy practice, he devotes countless hours to leadership positions in professional organizations. 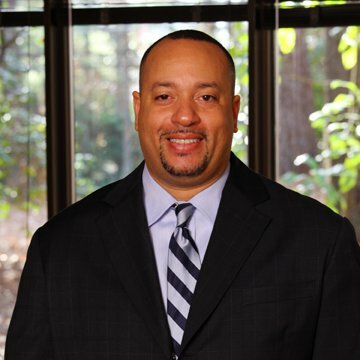 He currently serves as president of the Wake County Bar Association and is a former president of the Capital City Lawyers Association. He has served on the board of governors for the statewide N.C. Bar Association, and he was the N.C. representative to the Defense Research Institute. He was the first African-American president of the N.C. Association of Defense Lawyers. If that weren’t enough, Brian carves out time to mentor the next generation, whether through his many leadership positions in Omega Psi Phi, including as president of the Beta Phi chapter — which twice voted him Man of the Year — or by his years-long commitment to a “little brother” he was paired with in his association with Big Brother Big Sister. Although he did not participate in Project Uplift as a student, he serves on the board of the UNC organization that introduces minority high school seniors to campus life and plants a seed for them to grow into their dreams. A Maryland native, he was accepted into both the University of Virginia and UNC. He and his parents toured both schools on the same weekend. He had all but decided to enroll in UVa because he was leaning toward an engineering degree. But his mother had fallen in love with Chapel Hill, which she thought would be more welcoming than Charlottesville. Over the next four years, he fell in love with Carolina. “I still have the warm fuzzies when I go up that hill to campus,” he said. At UNC, Brian found a strong group of friends and involved himself in the issues of the time: protesting Apartheid through shantytowns on the quad, standing in solidarity with UNC housekeepers who were arguing for a living wage, lobbying the administration to sanction a black student union. Brian remained in North Carolina after graduation and received his law degree in 1995 from N.C. Central University. For as long as he can remember, he has wanted to be a lawyer. His mother held out hope of his becoming a minister, but that wasn’t going to happen, he said. He didn’t have any role models who were lawyers, nor did he watch television shows that inspired him to pursue the legal profession. If anything, a local dentist may have motivated him toward success. Brian acknowledges the tremendous debt he and his contemporaries owe to Harvey Beech ’52 and other trailblazers at UNC who “stood in the gap for us,” he said. He made sure his son and daughter knew the history of the civil rights movement. And he continues to build bridges for the next generation.